Good TV is not something I can pass up and hopefully you’ve kept with the latest new CW show Riverdale. Riverdale is based on the Archie Comics series characters, just taking a darker twist. 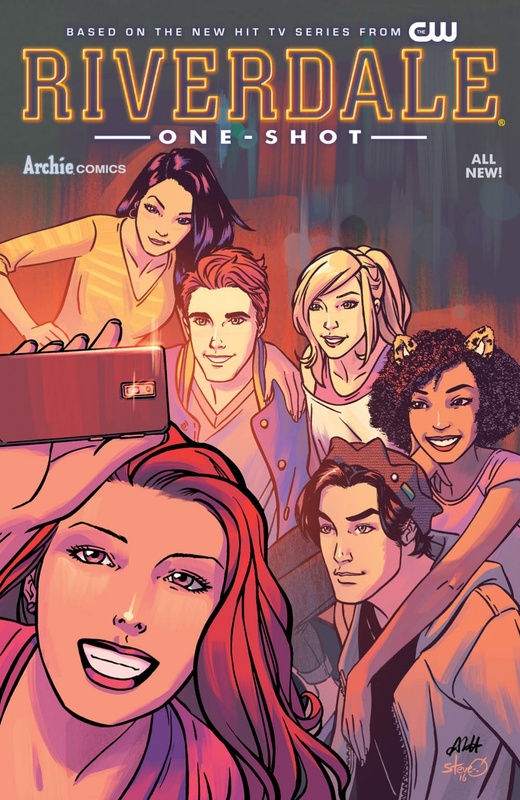 With that Archie Comics has dropped a nice ONE-SHOT comic that gives us more details about the events leading up to the first show. Our story starts with lovable Archie who is spending his summer working at his dad’s construction company. Archie spends a great deal of time thinking about Betty, who is in LA for an internship, until his love life takes another turn that is not so wholesome. The situation creates a conflict in Archie’s life that is one of many in the show. It adds to his teen angst which is always a running theme throughout Archie Comics. Just for the record though, these four mini-stories are illustrated in a more life-like art style and not the tradition Archie Style. It’s not a traditional Archie story either, so it works really well here. Meanwhile, Betty is in Los Angeles dealing with her feelings for Archie. The writers know Betty and they put her in a good role, seeing her even dating. The Veronica portion is more back story regarding her father’s financial issues. Veronica’s mother and her have to deal with moving to Riverdale. It helps humanize the character quite a bit since her wealth tends to blind her at some points. Jughead is the story’s local nerd that works at the movie theater and spends a great deal of time at Pop’s on his laptop. I can relate there. Jughead is dealing with Archie putting him second to another part of his life he doesn’t want to talk about. Overall the book is well done and worth the read until you catch up with the show’s events.